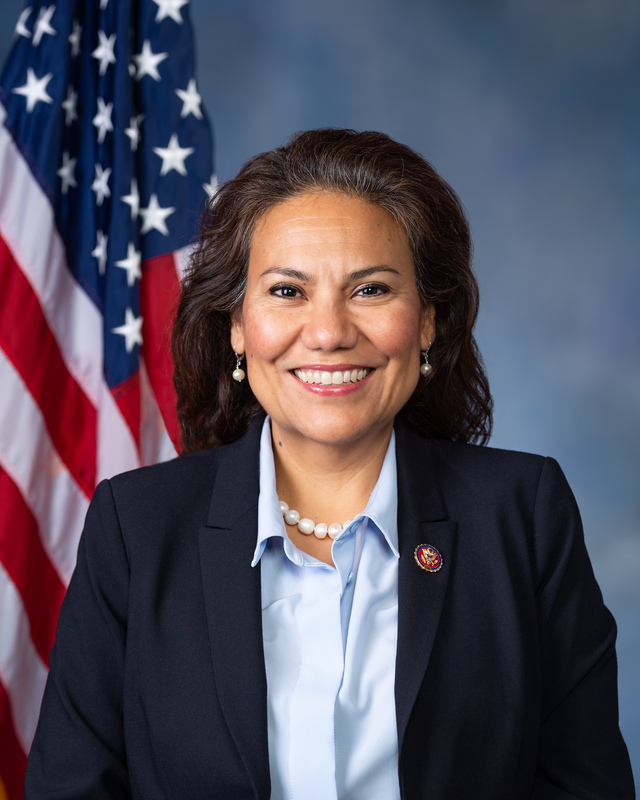 Congresswoman Veronica Escobar proudly represents Texas’ 16th Congressional District in El Paso. She took office on January 3, 2019 as a member of the U.S. House of Representatives after making history as the first woman elected to this seat and the first of two Latinas from Texas to serve in Congress. Congresswoman Escobar serves on the prestigious House Judiciary Committee, as well as the House Armed Services Committee. 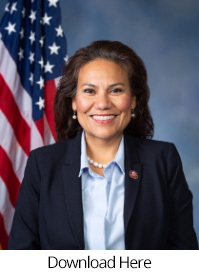 She serves in leadership positions on both the Congressional Hispanic Caucus (CHC) and the Congressional Progressive Caucus (CPC), as the Freshman Representative and Vice Chair, respectively. She is also a member of the New Democrat Coalition, and the Democratic Women’s Working Group, where she serves as Co-Chair of the Immigration Taskforce. As a third-generation El Pasoan, Congresswoman Escobar has dedicated her life’s work to improving the lives of El Pasoans. She served on the governing body for El Paso County, first as a County Commissioner and then as County Judge. When she was first elected, the County was mired in corruption that harmed the County’s ability to effectively serve the residents of El Paso. Congresswoman Escobar fought back against those who used government for their own personal gain and worked with her colleagues to modernize and reform the organization. She also worked to make El Paso County a leader in expanding access to healthcare by working with the University Medical Center of El Paso to build primary care clinics and to build El Paso Children’s Hospital, the only children’s hospital on the U.S./Mexico Border. Congresswoman Escobar is known as being a fierce advocate for the rights of all El Paso residents. As County Judge, she helped pass a budget that included domestic partner benefits and when marriage equality become the law of the land, she worked to make sure the County was immediately ready to process those marriage certificates. She helped raised the minimum wage at the County to $10.50 an hour to ensure that all County employees have a living wage, and she worked to make sure that unions had the opportunity to organize at the County and the University Medical Center of El Paso. Too often, the U.S./Mexico Border has been maligned and denigrated to advance policy interests that harm border communities. El Paso could always count on Congresswoman Escobar to stand up and correct the record and speak to national audiences about the opportunity and vitality of the U.S./Mexico border. Her advocacy included testimony before state and federal committees and six editorials in the New York Times. Prior to her service with El Paso County, Congresswoman Escobar was an English teacher at the University of Texas at El Paso and El Paso Community College, Communications Director for former Mayor Raymond Caballero and the Executive Director of Community Scholars, a non-profit that taught high school students who to produce public policy recommendations. Congresswoman Escobar and her husband Michael have two children: Cristian Diego and Eloisa Isabel, and they live in Central El Paso.